The Category under which the award was given named “Mentorship for Developing Female Talent Pool in Islamic Finance"
(May 09, 2018 (Lahore)): "Women on Board ( WOB ) - Islamic Finance Recognition Award" given to Muhammad Zubair, Chief Executive Officer, AlHuda Center of Islamic Banking and Economics. The category under which the award was given named “Mentorship for Developing Female Talent Pool in Islamic Finance". The ceremony was held in Maldives in this week. WOB Annual Awards embraces the strength of exceptional working women and side by side men who recognize the wisdom of those who facilitate women to do so. It is an effort to know that their hard work and wisdom help us to achieve the shared goals of companies, organizations and of the society. The annual awards provide a prestigious platform to honour outstanding and successful professionals together with business operations that promote gender diversity. The awards also provide a prominent platform to honour outstanding and successful professionals together with business operations that promote Islamic finance and recognize the female talents in the global Islamic finance industry. The award was given to the CEO AlHuda CIBE Mr. Muh. 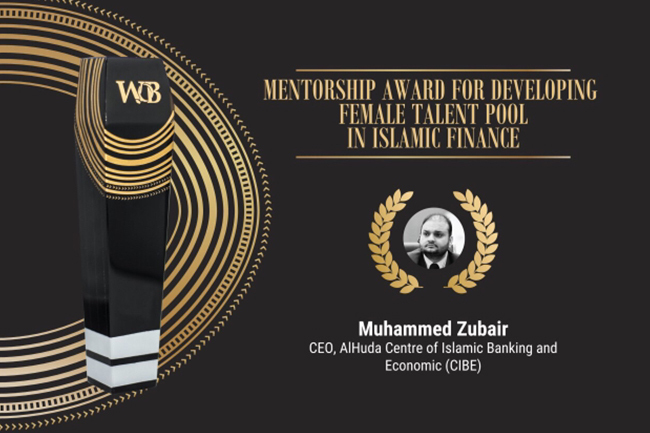 Zubair under the category of mentorship Award for Developing Female Talent Pool in Islamic Finance. In the category any male/female who has contributed to groom female talent can be nominated to this category. His/her contribution must be proved with testimony of those females who have been groomed or any other supporting documents shall be submitted to prove it. On receiving this award the CEO AlHuda CIBE, Mr. Muh Zubair said that I am very honored to have been nominated to receive this award. He further said that he believes in women empowerment to promote Islamic banking and finance for impact and growth. Staff composition usually remains 40% and 60% as men and women respectively. Vast majority of the AlHuda CIBE international stations are headed by female staff. There are multiple reasons behind the phenomenon. Female staff are more dedicated and concentrated to work. Females are also more dedicated religiously as well towards Islamic banking and finance. Presence of females in international assignment is also dominant during the time span of AlHuda CIBE. As far as women are concerned in different societies, they are dealt with difference as compare to men. On the other hand Islam was the first religion grant the respect to the women. In Islam men and women are equal in term of relationship to Allah; both have same reward on good deeds and both has same punishment on evil deeds. 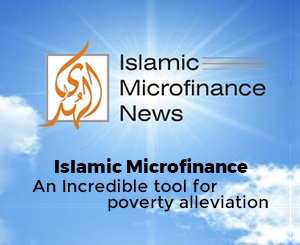 It is to note that for the growth of Islamic financial industry the rest half of the world should participate for the development of Islamic finance as there is a momentum to achieve financial inclusion for better and privileged lifestyle.